Sya is recognized as an accomplished, keen storyteller and a teacher of the art of storytelling. 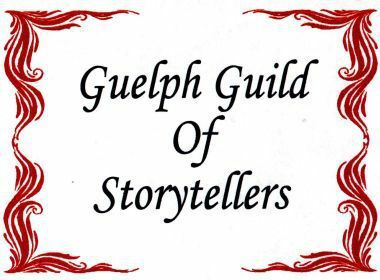 She's an active participant in the Guelph Guild of Storytellers and the 5Gs, (Guelph GoGo Grandmothers Griots) - Click here for details and bookings of the 5Gs. 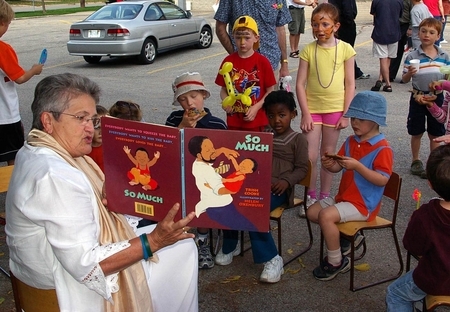 Sya loves telling stories with a special love for stories that come from rich oral traditions, including African stories. These are stories that leap off the page to be shaped for the ear, their place of origins. What an excellent way to hold up the beauty of African culture and its strong sense of story, family, community, laughter, courage, etc. For Sya, storytelling is her way of making a contribution to the Grandmothers Campaign. Although her telling is free, she does appreciate the gift of an honourarium, and whatever the amount, she always donates it to the Grandmothers Campaign. "Way up in the Sky World, . . . "